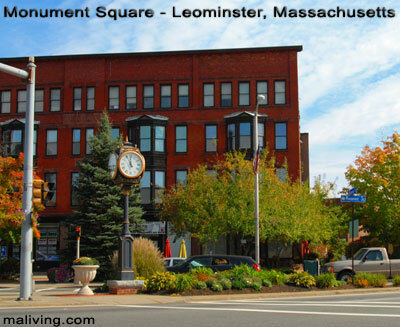 The community of Leominster is located on the Nashua River in Central Massachusetts. Leominster and neighboring Fitchburg are commonly known as the twin cities because of their similar population and history of shared industry. A major contributor to the Underground Railroad, Leominster is full of history and charm. Leominster is also home to the famous Johnny Apple Seed. To share any Leominster, Mass. information with us, please contact us. Learn more about advertising in MALiving.com.